The luta livre esportiva, more commonly known as luta livre, is a Brazilian style of catch wrestling. The catch as catch can style arrived in Brazil through Rio de Janeiro in the early 20th century by European emigrants, being passed on to the local tough guys. By the start of 1930 the luta livre crew had become one of the rivals of Gracie Jiu Jitsu, with Carlos Gracie and Manuel Rufino being one of the most discussed feuds during those times. Many also believe that one of the reasons George Gracie parted ways with his brothers Carlos and Helio in the mid 30’s was partially due to his involvement with the luta livre crowd, their fighting style and their competitions (often disregarded by the Gracie’s as fixed bouts). In 1940, George Gracie fought Euclydes Hatem, the famous Master “Tatu” of luta livre. Though the rules and the honesty of the result did not withstand the test of time, what is recorded is a submission win of Tatu over George by way of americana (key-lock), this result would give luta livre a good boost during that period. Luta livre remained as a force to be reckoned with in vale-tudo during the 1940s, 1950s and 1960s, but the animosity with jiu jitsu would not be truly set on fire until the early 1980s. 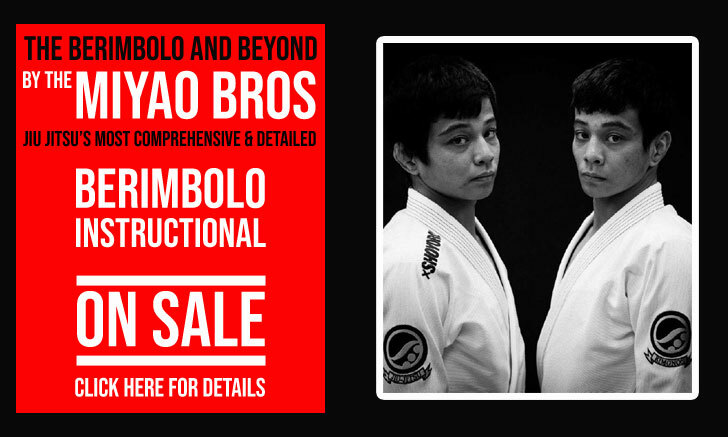 The quarrel between jiu jitsu and luta livre actually started through tae kwon do/muay thai (thai boxing). The story goes that just before the 1982 carnival celebrations, Mario Duma, a tae kwon do/thai boxer from the Naja academy, had a heated exchange of words which ended in a fist fight against Charles Gracie. According to the legendary Eugênio Tadeu in an interview given to Canal Combate many years ago, the confrontation was a consequence of an argument over women. Charles returned home and commented the event to his uncle Rolls Gracie who did not take what happened lightly. Charles was a young kid, and Mario (commonly known as Marinho) was a grown man. This infuriated Rolls to such an extent that he decided to gather his students and walk to Duma’s academy (Naja) to settle the score. The Naja academy was owned by Flavio Molina, a tae know do champion and a muay thai pioneer that was trying to raise awareness of this thailandese fighting style he had just started spreading in Rio de Janeiro. Once the Gracie contingent arrived at Naja, there was a kids class being taught. All women and children were taken outside while Rolls proceeded to challenge Marinho to a fight (a fight easily won by Rolls). 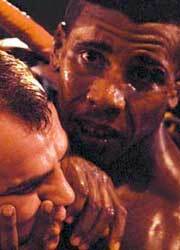 Different stories came out after the invasion, while the Gracie side mentioned that Flavio Molina (Mario’s coach and brother in law) was only held back while Rolls and Duma fought, Molina’s side mentioned that he was cowardly assaulted. Regardless of who’s side the truth was on, and although Duma moved to the USA shortly after and Rolls Gracie passed away also months after the incident, this invasion was not overlooked and a year later the thai boxing guys would meet the Gracie side on the ring. Marco Ruas trained his striking at Naja, but he also did grappling with the luta livre crew at the Santa Luzia academy with Fausto and Carlos Alberto Brunocilla, direct students of Euclydes Hatem (mentioned above). He took Flavio Molina and Eugênio Tadeu down to the luta livre gym to help them with their ground work in preparation for the fight, thus starting the long lasting relationship between muay thai and luta livre in Brazil. The coalition worked well as the powerful and odds on favorite Jiu Jitsu was held to a draw: Behring defeated Molina by TKO, Eugênio Tadeu returned the favor by ‘TKOing’ Pitangy, while the young Marco Ruas held the heavy favorite Pinduka to a draw in an epic battle. This not only caused a dent in the Jiu Jitsu reputation, but it also raised the stock of the luta livre/thai boxing union. The animosity continued, though heavily pushed by the luta livre gang, while Molina and his muay thai academy remained less vocal/confrontational. One of luta livre’s golden boys, Marco Ruas started being mentioned as a candidate to fight jiu jitsu’s champion, Rickson Gracie in the near future. Rickson had decided at this point that he was moving to the United States, and he did not want to leave Rio de Janeiro with this shadow on his back. He decided to go to the gym were Ruas trained to make the challenge official, and possibly fight there and then. 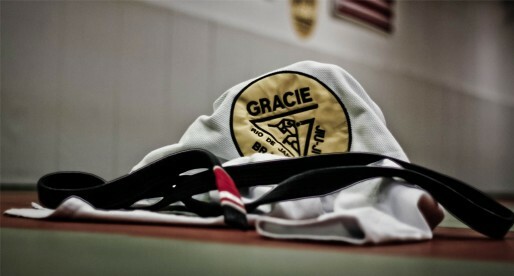 Rickson arrived at the gym while a packed night class was taking place, accompanied by his father, Helio Gracie, and his friends Sergio ‘Malibu’ and Marcelo Behring. 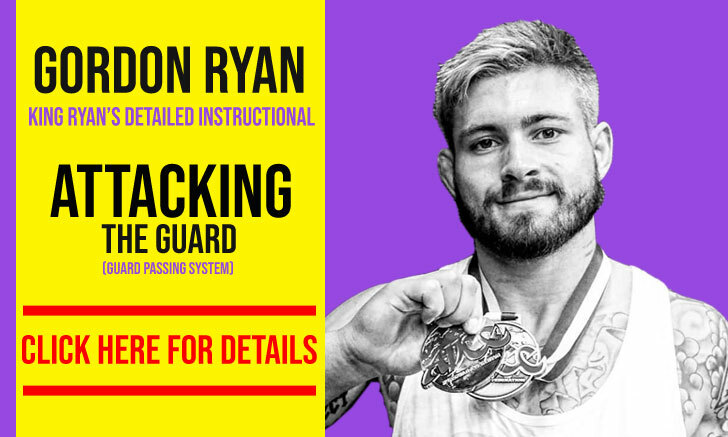 There he met with Ruas and his coaches challenging the up and coming fighter to a closed door bout, something very common during those days. Ruas stepped back and asked for a 4 month period to prepare for the fight, Rickson did not accept, he wanted to fight sooner than that as he had plans to move out of Brazil. The discussion got heated up and at a certain point Helio said “Maybe we should make a list of people who want to fight Rickson”, Hugo Duarte, who was one of the main luta livre competitors heard the jiu jitsu master’s comment and said “you can put my name on that list”. The gracie convoy left without the fight they wanted, but Hugo Duarte’s challenge made it to the streets. The street gossip urged Rickson Gracie to take a stand, much like he had done when the same happened with Ruas, previously. This time Rickson wouldn’t make the same mistake as before and give the challenger a chance to pull out. Duarte was a regular visitor of the Praia do Pepê (Pepe Beach), so Rickson planned to confront the luta livre man in public so there would be no back pedaling. A couple of weeks later, Hugo was met and challenged at the beach, on a Saturday morning. People gathered around in a circle while the two fighters scrapped. A camera was brought in to film the fight and handed to the late Ryan Gracie. Ryan was 12 years old at the time and could not cut through the crowd of grown ups to film the fight, thus the poor quality of the video (below) and the cussing of the young Gracie all throughout the footage. After a few minutes of fighting Hugo Duarte gave up due to strikes from the mount. Afterwards, as the two fighters went to the water to clean up their wounds, Hugo told Rickson he was not happy with the result, this feeling would lead to the events that followed. It was arranged that Rickson Gracie would fight Hugo Duarte outside the academy, in the car park. Eugênio Tadeu, one of Flavio Molina’s closest friends who was then a serious instigator for the luta livre side, asked to fight as well. He was given the options of fighting Rilion Gracie (regarded as the most technical lightweight of the family) or the 22 year old Royler Gracie, Tadeu chose Royler. The first fight was quick, Rickson took a few punches standing but quickly clinched, taking Hugo to the ground where he mounted Duarte. After a few punches Hugo gave up, the fight was a lot quicker than the previous one and this time Duarte told Rickson he was at ease with the result. As Eugênio and Royler were preparing to ‘duke it out’ the police showed up. One of the luta livre thugs had fired his assault rifle to the air previously, in an attempt to intimidate the Gracie’s, this had alerted the authorities. A couple of days later, Rickson Gracie showed up at the ‘La Maison’ academy, to settle the score between Royler and Tadeu. The challenge was accepted. The fight lasted 38 minutes and ended in a draw, you can see the fight below. 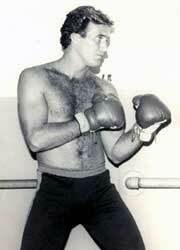 After the altercations of the 1980’s, jiu jitsu and luta livre lived a tense but uneventful period. Jiu jitsu continued to prosper while luta livre, possibly lacking the leadership and guidance of their opponents, was starting to lose momentum. The argument could have easily died out if it wasn’t for the incendiary comments of Wallid Ismail to the famous Rio de Janeiro newspaper “O Dia” on April 1991, where he said that luta livre was just a bad copy of jiu jitsu. 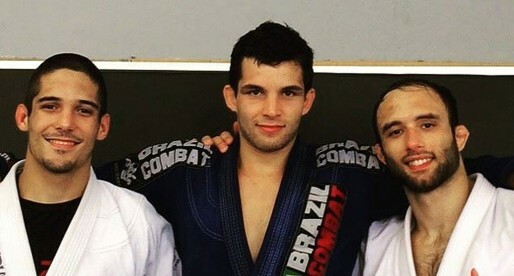 Ismail was a brown belt at the time and did not have much significance in jiu jitsu, but he was a self promotion genius who managed to live as an athlete before any other, and his comments were well heard by the luta livre crew who decided to invade the Copa Nastra a few days later. The Copa Nastra was organized by Robson Gracie who already led the Rio de Janeiro Jiu Jitsu Federation at the time and had some of the biggest names in the sport on the stands (though many of the Gracie’s such as Rickson and Renzo were already living abroad). This time around it would be Carlson Gracie who would take the control of the situation, much like his uncle Helio had done during the invasion to the Gracie academy. To settle the disagreement Carlson arranged for the luta livre guys to fight jiu jitsu in a public challenge, thus giving birth to one of the most epic events in no holds barred history. The Jiu Jitsu vs Luta Livre challenge generated interest from a major TV company (Rede Globo) due to the influence the Gracie’s held in some media circuits. The TV company was lured into the idea by Robson Gracie (once again the organizer) who mentioned that the event would be under grappling rules, the rules were later changed to no holds barred, but the support of the Rede Globo remained. Having a national audience lifted the stakes of the competition even higher, and the card was picked. Murilo Bustamante defeated Marcelo Mendes: after a complete dominance of Bustamante, Mendes refused to return to the ring after he fell out. The event was a major boost to jiu jitsu’s popularity whose gyms had a massive influx of students shortly after the challenge. The bad atmosphere between the two grapping rivals died down for a bit after the event, however it did not disappear. 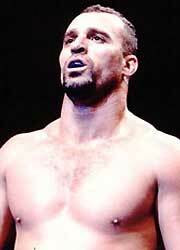 The Pentagon Combat was an event organized by Nelson Monteiro and sponsored by Abu Dhabi’s Sheik Tahnoon who had become interested in no holds barred, and wanted to invest in the sport. Pentagon Combat was a vale tudo production that included some very big names at the time, such as Murilo Bustamante, Ricardo Morais, Oleg Taktarov, Sean Alvarez, Marcelo Tigre and the main event, between Renzo Gracie and Eugênio Tadeu, waking up the old rivalry. Renzo had some unsolved issues with the luta livre gang from the altercation at Pepe Beach back in 1988, where himself and Marcelo Mendes had an exchange that was never settled. He was eager to test himself against the luta livre while Tadeu wanted another chance to fight someone with the status of Renzo, Gracie royalty. The atmosphere in the venue was extremely volatile during the moments that anticipated the event, with gangs forming all around the fighting ground from both sides of the border shouting abuse at each other. All the fights took place according to the schedule but trouble stuck during the main event when a huge riot broke out between luta livre and jiu jitsu supporters. Hundreds of chairs were thrown, shots were fired and people injured. The riot made it to the national news in Brazil and even the international news broadcaster CNN made a segment about it. It had dramatic repercussions for vale tudo (the father of MMA) in Rio de Janeiro which was immediately banned, only being re-instituted recently due to the pressure of the powerful UFC. It also terminated any of the Sheik’s intentions in investing in the sport consequently placing a hold on this old rivalry between these two grappling styles. Thanks for sharing this post!! Learned alot about Jiu jitsu and luta livre which share some of the common features between them. These type of martial arts needs to be practiced that helps to gain physical and metal stability aling with self-confidence and motivation. "Though the rules and the honesty of the result did not withstand the test of time, what is recorded is a submission win of Tatu over George by way of americana (key-lock)"
Is it possible to give more information on that claim? There is at least one newspaper article of that time, confirming the victory of Tatu. Could you give some sources or evidence why it was apparently not a win for Tatu? Kai, it is well known that many of those fights were fixed, especially by the luta livre crew who comes from catch wrestling (pro wrestling). If you also consider that George trained extensively with Dudu (Tatu’s coach) and Tatu himself, its not a crazy assumption.